The door control receiver receives signals from the transmitter and sends these signals to the main body ECU. The main body ECU then controls all doors by sending lock/unlock signals to each door, and sends hazard flasher relay signals to the turn signal flasher relay (hazard warning lights). 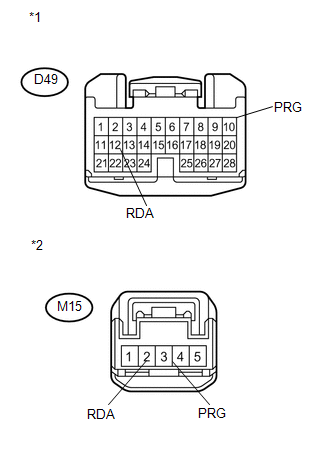 (a) When the door control switch on the master switch assembly is operated, check that the locked doors unlock (See page ). (a) Check that the key reminder warning buzzer operates normally. Key reminder warning buzzer operates normally. 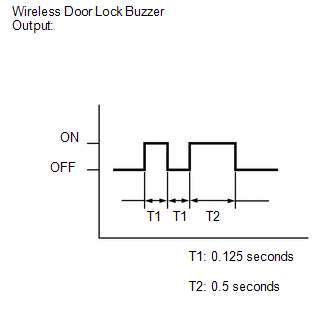 (a) When known good registered door control transmitter is used, check that the wireless functions operate normally. Wireless door LOCK/UNLOCK function operates normally with a known good door control transmitter. Wireless door LOCK/UNLOCK function does not operate. (a) Inspect the battery capacity. in.) 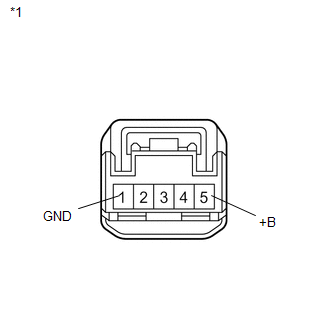 in diameter or less including wire sheath) with tape or equivalent to the negative (-) terminal. Do not wrap the lead wire around a terminal, wedge it between the terminals, or solder it. A terminal may be deformed or damaged, and the battery will not be able to be installed correctly. 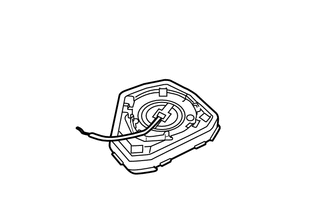 (b) Carefully pull the lead wire out from the position shown in the illustration and install the previously removed transmitter battery. (c) Using an oscilloscope, check the transmitter battery voltage waveform. Measure the transmitter battery voltage while pressing the LOCK or UNLOCK switch on the transmitter. (a) Bring the transmitter near the door control receiver, and perform a wireless operation check. When the transmitter is brought near the door control receiver, the possibility of wave interference decreases, and it can be determined if wave interference is causing the problem symptom. If the inspection result is that the problem only occurs in certain locations or times of day, the possibility of wave interference is high. Also, added vehicle components may cause wave interference. If installed, remove them and perform the operation check. (a) Switch to self-diagnostic mode by operating the ignition key cylinder. (1) Make sure that the vehicle is in its initial condition. Then insert the key into the ignition key cylinder and remove it. (2) Within 5 seconds after removing the key, insert the key into the ignition key cylinder (ignition switch off). Then turn the ignition switch to ON and off. (3) Within 30 seconds after turning the ignition switch off, perform the following operation 9 times: turn the ignition switch to ON and then off. If the system cannot enter self-diagnostic mode, the system returns to normal mode. Turning the ignition switch to ON after the above operations have been completed ends self-diagnostic mode. Do not lock or unlock doors during self-diagnostic mode. (b) Check that the system has switched to self-diagnostic mode by checking the room light output pattern. 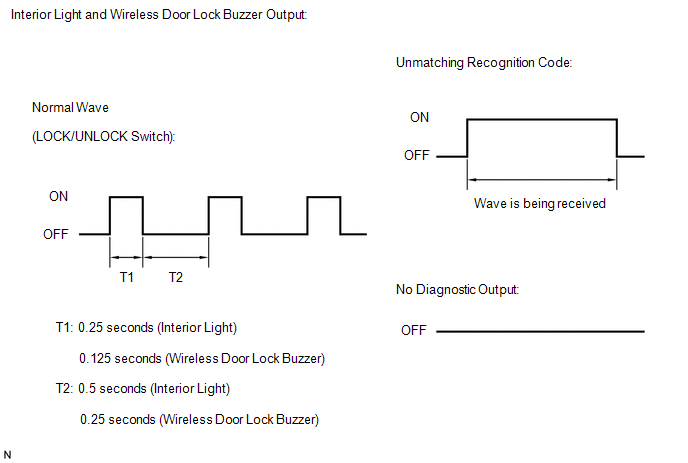 (c) Check that the system has switched to self-diagnostic mode by checking the wireless door lock buzzer output pattern. 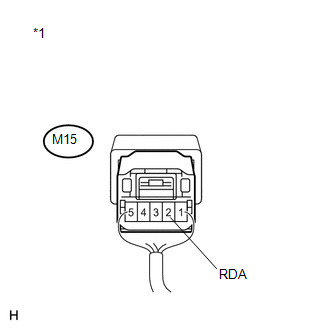 (a) Inspect the diagnostic outputs when the door control transmitter switch is held down. The diagnostic outputs can be checked by the flash patterns of the interior lights and the buzzer patterns of the wireless door lock buzzer. 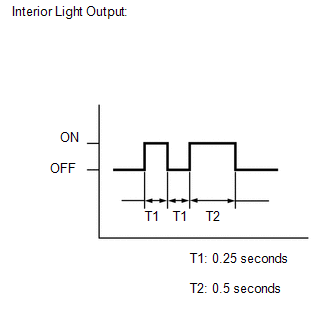 Normal wave (light flash pattern and buzzer pattern) is output. Unmatching recognition code is output. (a) Check that the system can be switched to rewrite mode or add mode, and that a recognition code can be registered (See page ). Recognition code can be registered. (a) Prepare the door control transmitter from another vehicle. (b) Press and hold down the door control transmitter switch. (c) Check that an unmatching recognition code is output. (a) Disconnect the door control receiver. (a) Disconnect the D49 main body ECU connector and the M15 door control receiver connector. 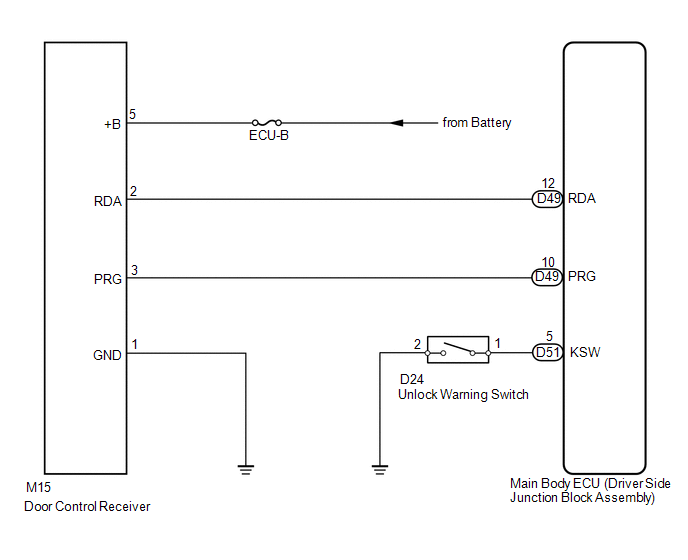 (a) Temporarily replace the door lock control receiver with a new or known good one (See page ). (a) Perform the Registration procedure (See page ). (a) Check that the doors can be locked and unlocked by using the transmitter LOCK and UNLOCK switches. Doors can be locked and unlocked using transmitter.